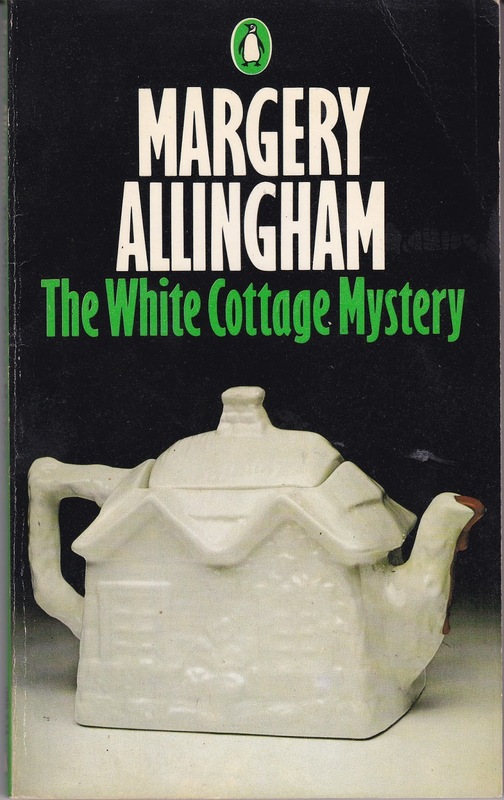 The White Cottage Mystery is Margery Allingham's first detective story. The story was written as a serial which appeared in the Daily Express. As a serial, each publication included a segment which recapitulated events in the story. Joyce Allingham, Margery's sister, edited the serial and removed these recapituations, and The White Cottage Mystery was published in book form in 1928. The first Campion novel, The Crime at Black Dudley, was published in 1929. The story has several elements which would make it a good serial in its day. The murder victim, Eric Crowther, the victim of a shotgun blast, is so obnoxious and evil that everybody is pleased with his death. As part of his personal psychological experiments, he had threatened and intimidated his employees and the Christensen family who live in the White Cottage which is the house next to Crowther's. There is mention of a group of wealthy people who are involved in stealing art, and a mysterious Italian who runs away at a critical moment. Much of the story takes place in France. The mystery is investigated by Detective Chief Inspector W. T. Challoner and his son Jerry. Challoner is challenged by the facts that everybody wanted Crowther dead, and that he cannot find any evidence that any of them actually did the crime. The solution of the crime is indeed unexpected. This book will mainly be enjoyed by fans of Margery Allingham who wish to read her very early work. It has been reissued and is available at Amazon in paperback and e-book formats.